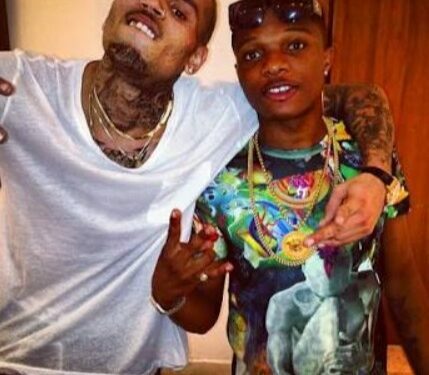 Video: Chris Brown grooves to Wizkid’s ‘Soco’ – Royal Times of Nigeria. American singer and dancer, Chris Brown, was seen in a now viral video released on Sunday dancing to ‘Soco’, 2018 hit song of Nigerian’s Ayo Balogun, aka Wizkid. ‘Soco’ is one of the hit songs produced by Wizkid this year, alongside ‘Manya’. Wizkid went on to become the first Afro-beat artiste to appear in the 2018 Guinness World Records, for his contribution to Drake’s hit song ‘One Dance’. The twenty-seven-year- old recently sold out the O2 hall in London; and is set to release a much anticipated album later in 2018.